The following are tips the Sheriff’s Office has adopted from the National Center for Missing and Exploited Children (missingkids.com) to help keep them safe at home, on the street and on the Internet. Teach children their full names, address, and home telephone number. Instruct children to keep the door locked and not to open the door to talk to anyone when they are home alone. Remind your children not to walk or play alone outside and to ask permission before leaving home. Teach children to never approach a vehicle, occupied or not, unless they know the owner and are accompanied by a parent, guardian, or other trusted adult. Identify those people who children can ask for help, such as uniformed law enforcement, and firefighters. Teach children that if anyone tries to grab them, they should make a scene and make every effort to get away by kicking, screaming, and resisting. Place the family computer in a common area, rather than a child’s bedroom. Monitor their time spent online and the Web sites they’ve visited and establish rules for Internet use. Know what other access your child may have to the Internet at school, libraries, or friends’ homes. Use privacy settings on social networking sites to limit contact with unknown users and make sure screen names don’t reveal too much about your children. Encourage your children to tell you if anything they encounter online makes them feel sad, scared, or confused. Caution children not to post revealing information or inappropriate photos of themselves or their friends online. Learn about the Internet. The more you know about how the Web works, the better prepared you will be to teach your children about potential risks. 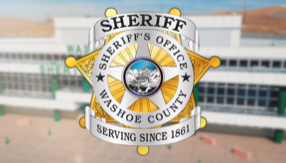 Report suspicious activity to our non-emergency dispatch at (775) 785-WCSO (9276). Or, if you wish to remain anonymous, call Secret Witness at (775) 322-4900.